By all accounts the 2014-5 Alex Colville retrospective — staged first by the AGO — was a monumental success. From its beginning, the exhibition appears to have been conceived as a “blockbuster”: a large-scale exhibition that attracts a viewing public far beyond that which normally visits art galleries. Such exhibitions are reserved for the “superstars” of the art world and, in Canada, Colville has come to fit this bill precisely. In the Maritimes, specifically, but in Canada, more generally, his work is iconic and, depending on whom you read, mysterious or dark, reminiscent of quiet Maritime life, “hyper-organized” or reflective of holidays and the small-towns that dot the region. The retrospective did nothing to settle these disagreements nor, one supposes, was it supposed to. Instead, a retrospective such as this is better seen as an intervention into history. It is an effort to craft a particular narrative of art, artistry, and culture. And, in this way, it constituted part of an interesting reinscription of a particularly conservative narrative of art history and culture. It is on this level that I will address it. What I seek to argue is that commemorations of Colville have as much to do with how we think about art and its history as they do with the artist himself. Colville recently died and his memory is not uncontested. Mount Allison University, where I work, has not been shy about staking its claim. 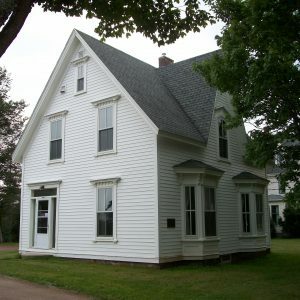 It has transformed his house into a museum (called “Colville House”), has his work on permanent display at the university art gallery, and highlights Mount A’s connection to the artist in its appeals to students and the general public. These claims compete against others that would localize Colville in other communities (say, Wolfville, where he lived from 1973 until his death) or which highlight his work’s national or international connections (say, the placement of Colville canvases in The Shining). These connections both speak to a sense of Colville’s importance but also, more significantly, try to connect specific institutions to Colville and his fame and so, in some way, lay a claim to importance (or, fame) themselves. The basic facts of Coville’s life are straightforward. He was born in Toronto, moved with his family to Amherst and attended Mount Allison University before becoming a war artist, after which he returned to teach fine arts at Mount A. In 1973, he resigned his position and moved to Wolfville, Nova Scotia, where he lived until his recent death. He was remarkably productive and became well known. The AGO retrospective featured over 100 canvases and even for those who might not remember seeing his work, it will have a haunting familiarity. Colville’s art developed in the immediate post-World War II era. As Kirk Niergarth has explained in his impressive study “The Dignity of Every Human Being,“ this was a period of remarkable innovation in the New Brunswick art world. 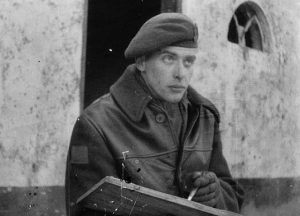 In particular, spurred by international influences, the Depression and World War II, artists such as Fred Ross, Millar Britain and Jack Humphries looked to art as a part of a new cultural politics that reconstructed society. This reconstructed society was based on social improvement, a broader scope for art, and a more activist form of artistry that problematized the relationship between the artist and society while highlighting the potential of social transformation. Murals — because of their size, narrative format, and visibility — were key elements of a new approach to art. 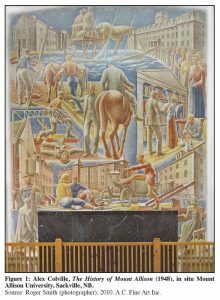 Fred Ross’s restored murals Destruction of the World Through War and Rebuilding the World Through Education illustrate themes and artistic approaches that were central to a more socially engaged conception of art. Initially Colville worked in this mode. His mural The History of Mount Allison works with similar themes and a similar optimism. His art becomes a chronicle of history that captures the ideal of progress and the optimism of the post-war era. It connects the history of Mount Allison, as an educational institution, to the wider, and progressive, transformation of society. Transformation is connected, in this mural, to soldiers linked to Christian iconography but also, it seems worth noting, the education of women, changes in rural life (an important social, economic and political issue in the Maritimes), and music as well as science. Colville’s style differed from that of Ross, Britain, or Humphrey, but this 1940s mural shows that he was working with a similar set of themes and a similar conception of the role of art in culture and society. What the celebrations of Colville do is remove him from this context. Instead of focusing on the social context of his art, celebrations as commemorations direct attention to aesthetic influences and place him in a wider matrix of artistic genius. This is why it is important that Kubrick used his art. This movement is not simply a recognition of Colville’s particular genius but a re-narrating of art history on two levels. First, in celebrating Colville, it celebrates the idea of artistic genius. The challenges that innovative artists such as Ross, Britain, and Humphrey offered to art and their effort to locate it in a social context are erased. Artistic accomplishment is made the result of genius. Likewise, art is, as it were, aestheticized. The social and cultural messages that influenced the murals and other artistic works that Niergarth explores are displaced in favour of art-in-itself. That art might conjure up certain feelings or suggest a deeper mystery to life … or it might not. It might simply reflect geometric design and a nostalgia for homelife. What is important is the way that art is disconnected from social relations so that we appreciate the art as art. In effect, and with only a bit of simplification, it becomes decoration. The audience is transformed as well. Ross’ two-part mural, for example, looked to engage the audience in a dialogue. As did Colville’s The History of Mount Allison. These works sought to make the location of the audience part of their story. They do not simply speak to certain viewers, but about the position of the viewer in time. In each of these instances, the audience is located at the beginning of what hopefully will be a new era. They contain an implicit invitation to be part of an unfolding historical process that, the artist hopes, will contain a progressive future. The celebration of Colville erases this narrative and this meaning. The audience becomes a viewer of an art that is located outside of history. Time, ideology, and the future lose their relevance. As an audience, we are no longer invited to be part of a new world but are instead invited to appreciate the genius of the artist. Canadian art historians will, I am sure, disagree about the significance of Colville’s work, what he sought to do with his art, and the implications of his work. The current celebrations of his art, however, serve other ends. They erase an earlier, innovative and politically radical moment in art history and reinscribe art as the work of genius, unconnected to social relations and, as it were, timeless. Art is no longer part of a process of social change but a visual experience we step back and admire. Its history is defined not by shifting patterns of social engagement and their successes and failures but purely by creativity called genius in which we move from one master to the next. Andrew Nurse is a professor of Canadian Studies at Mount Allison University.